Size isn't everything. The Potterton Promax SL 12kW boiler is small and slim-line but it still manages to pack quite a punch. Recommended by the Energy Saving Trust this powerful heat only boiler is deceptively small and achieves a SEDBUK 2009 efficiency rating of 91.10%. One of the smallest and lightest boilers out there it weighs just 26kg and measures 60x39x28cm so if you're looking for a compact and lightweight boiler to fit inside your kitchen cupboard this could well be the one. This high efficiency space saving boiler is environmentally friendly easy to install and features basic heating controls so it's easy to operate. 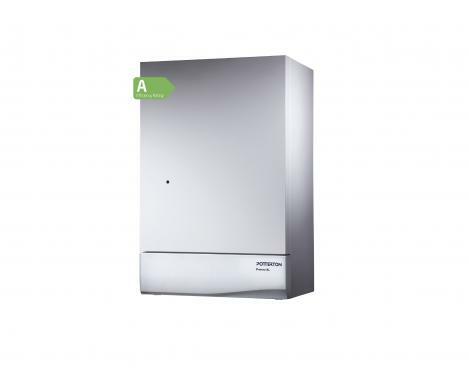 The Potterton Promax SL 12kW is an open vent boiler best suited to flats and small homes. But for larger properties where heat demand is greater you can choose between outputs ranging from 15kW to 30kW.